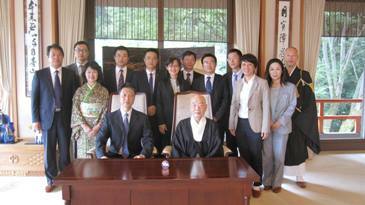 Medicine is one of the key areas of Japan-China collaboration promoted by JICE. 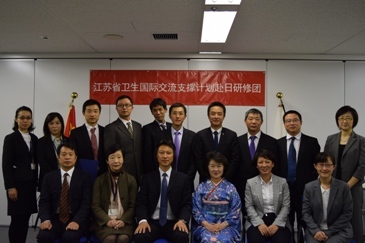 A delegation of ten elite doctors selected by Jiansu Provincial Commission of Health and Family Planning (JPCHFP) successfully completed their training program in three separate groups under the guidance of Japanese clinical doctors respectively at National Cancer Center, Tokyo Medical University Hospital and Juntendo University from August 30, 2015 to November 24, 2015. 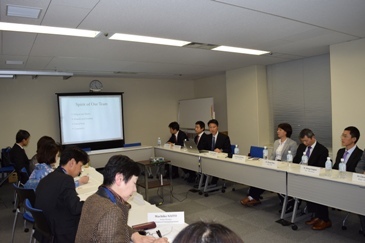 This program was organized as part of the high-level human resources development cooperation plan based on the “Memorandum of Understanding on Friendly Cooperation” concluded between JICE and JPCHFP in December 2010. 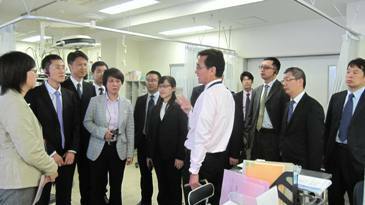 Besides attending the intensive training at each hospital, the Jiansu doctors visited Tomei-Atsugi Hospital to gain first-hand knowledge of community-based medical, nursing and welfare services. 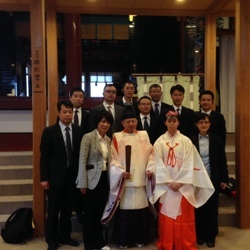 As part of JICE’s cultural enrichment program, they went to worship Tsurugaoka Hachiman Shrine in Kamakura and Kiyomizu Temple in Kyoto where they greeted its Chief Priest Seihan Mori. At their request JICE also arranged home stay programs for them. A reporting session was held on November 24, the last day of training, where the young doctors from Jiansu unanimously reported of their great achievements in learning sophisticated diagnostic and treatment technologies as well as state-of-art hospital management systems, good relationship of trust between doctors and patients and rigorous handling of personal information at Japanese hospitals, which was made possible through on-the spot technical training, reading reference materials, observing operations and attending clinical case study conferences and academic meetings. Celebrating their success, Ms. Sachiko Yamano, President of JICE awarded each of them with the certificate of training completion. 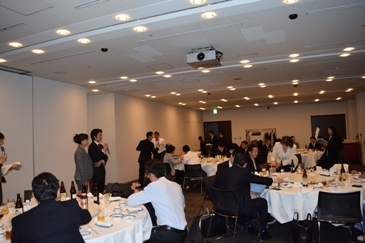 After the award ceremony, the Japanese doctors engaged in the training started to talk about their fond memories of studying and working together with the Chinese doctors and expressed their sincere hope that the Japan- China medical cooperation will further blossom. 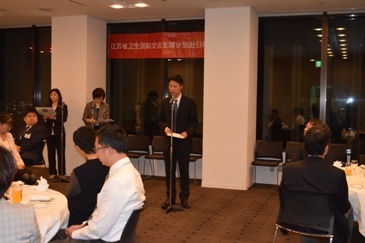 In response, Dr. Zhou Xiaojun, Head of the Delegation, offered his deep gratitude to all the staff at the concerned hospitals and strongly wished for further enhancement of Japan-China medical exchange and cooperation by taking stocks from the networks with the Japanese hospitals established through this training program. Looking forward, JICE will be committed to contributing to the further advancement of medical personnel and further progress of medical technologies of China.